We have to admit that real life has already become some kind of a relic of the past. We all live online and we love it. And if some people say that they prefer the real life over the online one, they are lying. Well, just tell me the very first thing you do in the morning. Drinking a glass of water? Brushing your teeth? Having a cup of coffee? No, I bet you checking your Instagram or Facebook feed. Internet is actually considered to be an addiction, but what a great addiction it is! It makes our lives so much easier. You can buy whatever you want online, you can hang out with your friends from the other part of the world online, you can work online, you can watch your favorite movies and TV shows at any time. You can do literally everything online and there is no need to leave your cozy house. It’s like an introvert’s dream come true. The online world is like a parallel universe where you can do anything you want and be anybody you’d like to be. However, the internet is not only all about fun. It’s actually a great way to make some extra money or even establish your super profitable corporation (who knows?). Nowadays, being online is extremely crucial for almost any kind of business. Whether you run a restaurant or a flower delivery service, you might want to have your official website. You may think that creating a website is quite a stressful and time-consuming thing to do. Not to mention that launching a website can be pretty expensive too. But what should you do if you desperately need a website, have a tight budget, and limited in time? Relax. Using website templates makes the process of creating a website super easy, quick, and cheap. Just check out these 20 best templates, for example, WordPress business themes chose the one you like, and launch your website. Details | DemoMonstroid2 WordPress Theme is stylish, elegant, and simply beautiful. Besides, this theme is super light (less than 250kb) and smooth, moreover, it is equipped with the Elementor Page Builder. If that wasn’t enough, you will also get more than 500 pre-designed pages. Among the other perks of having this theme are flexible customization, regular updates, and 24/7 support team. Monstroid2 has everything for making a cool modern website. 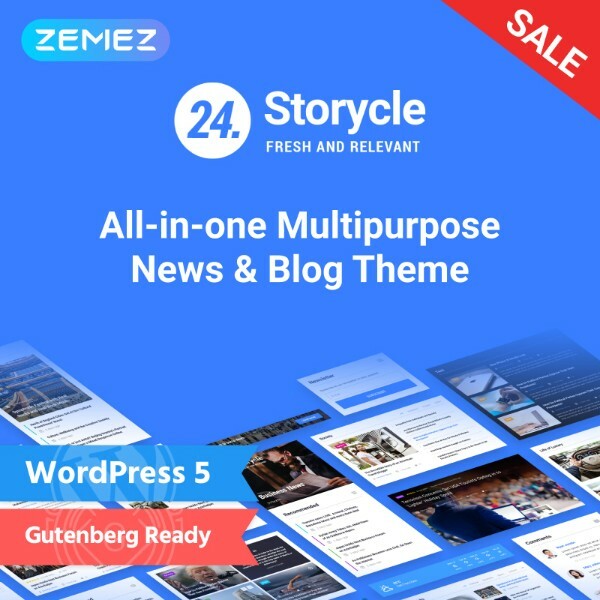 Details | Demo24.Storycle is a multipurpose theme which will be perfectly great for your blog or a news website. It’s equipped with Elementor Drug-n-Drop Builder, powerful plugins, and Mega Menu. Moreover, the theme has horizontal and vertical video playlists and works smoothly on any device. 24.Storycle has a flawless design and is easy to launch, what else can you possibly need? Details | DemoBrave Theme is a unique and stunning multi-purpose template. 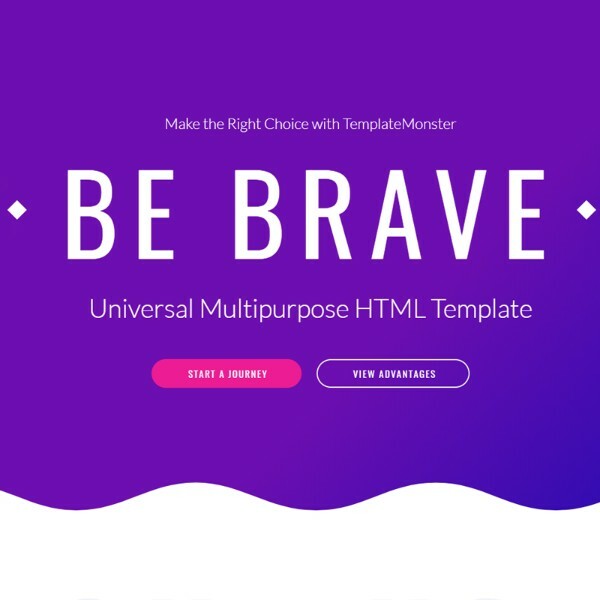 Brave has various ready-made elements and blocks, more than 100 HTML pages, shop pages, blog, gallery and many other useful features. Moreover, you can download and launch this template on your own or with the help of our professional 24/7 support team. Brave is the very template that will lead your business to success. Details | DemoFuture is a business template that has a stunning modern design. Not only this template is professionally designed, but also has quite a lot of useful features. Among those features are CSS3 animation and sliders, UI Elements, Google Map, Megafooter, and Crossbrowser. 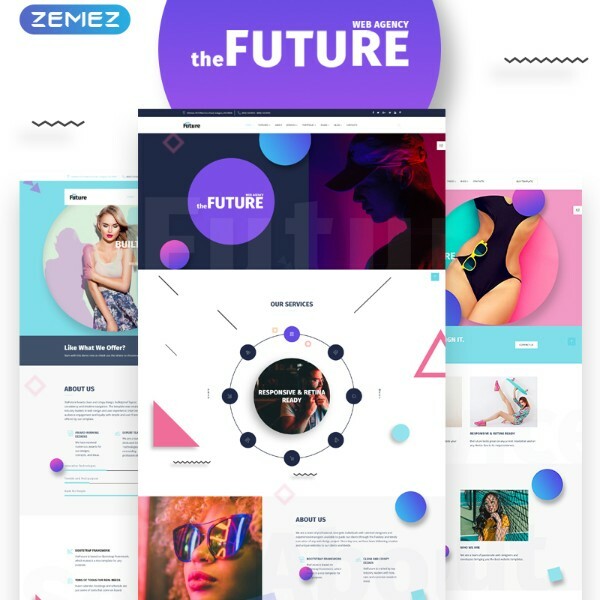 Future comes with over 60 responsive HTML templates, more than 400 ready to use elements, and unlimited possibilities. This is literally everything you would ask for. Details | DemoMagetique is a beautifully designed multipurpose theme. With this theme you will get regular updates during the 2 years after the purchase. Magetique is a bestseller which has more than 600 satisfied clients. Moreover, it comes with 5 top premium layouts. And of course, the theme has all important features such as Mega Menu, Google Map, Blog, Social Login, Social Sharing and many others. Details | DemoShopy Theme is a perfect choice for an online store. This theme works flawlessly on all the devices and includes such features as over 13 Layouts, 9 Listing Pages, 4 Gallery Pages, and Mega Menu. Besides, it’s super easy to customize according to your needs. Use your chance to get this theme now. Details | DemoThis fully responsive theme is another great option for an online store. 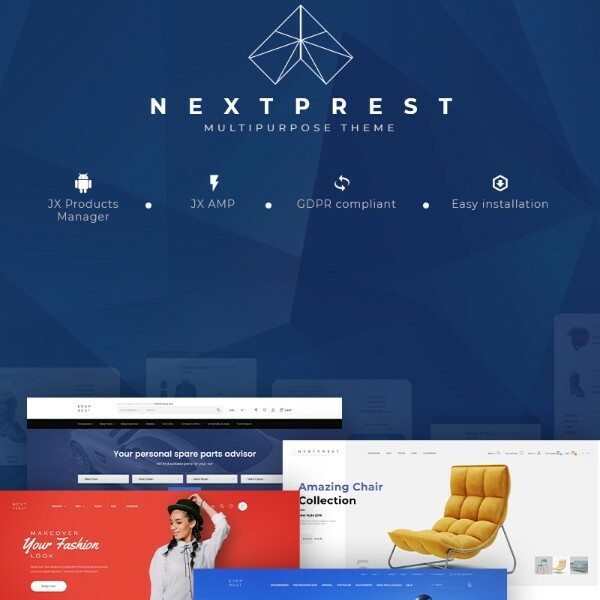 NextPrest comes with JX Mega Layout, JX Security Pack, JX Products Manager, and JX Deal of the Day that will save you about $700. The theme also has a Blog, Documentation, Fiqma Layouts, and as usual, you will be provided with 24/7 support. What else can you possibly dream of? Details | DemoElectrolux PrestaShop is a perfectly designed and ultra responsive theme which is simply the best option for your online store. It works smoothly on any device and supports such major browsers as Chrome, Firefox, Safari, and Opera. Among the best PrestaShop’s features are JX Search, JX Mega Menu, JX Header Account, and JX Deal of the Day. 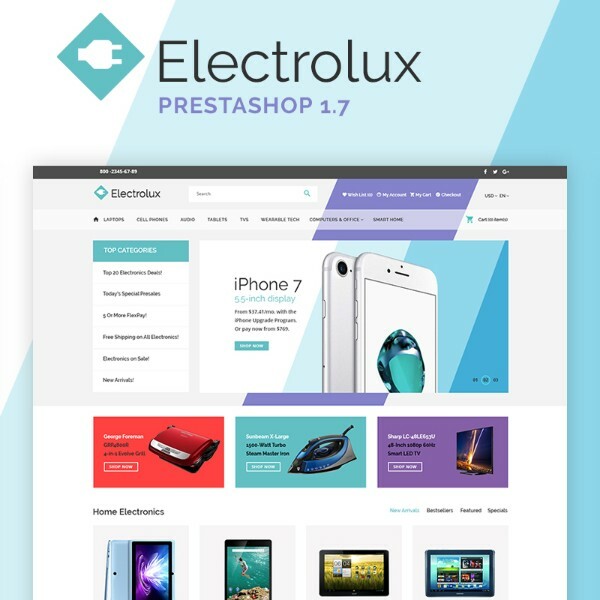 Make your online store stunning with the Electrolux PrestaShop Theme. Details | DemoWoostroid2 is the very theme you need for your online store. Classy and elegant, this theme has all the features one needs for creating an online store. Woostroid2 comes with various pre-made skins, a set of professional Jet Plugins, and clear documentation. And in case you have any troubles installing this theme, our 24/7 support team is always ready to help you. 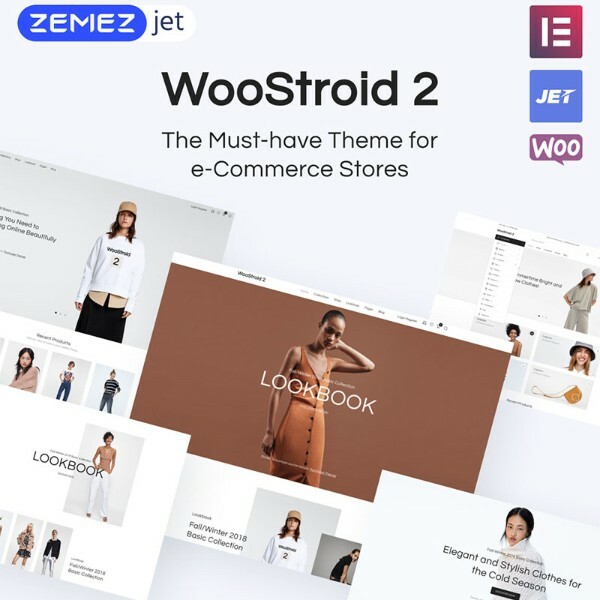 So get the Woostroid2 Theme and launch the online store of your dreams. Details | DemoNaturio Food Store Template is a beautifully designed theme which is perfectly great for a food delivery service website. 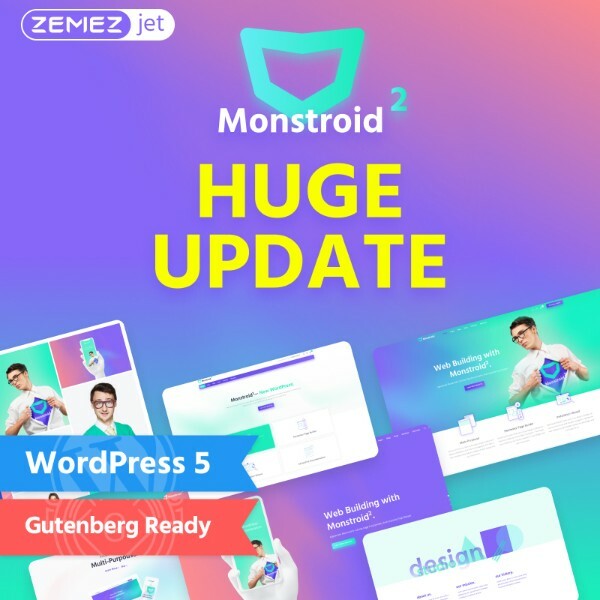 Not only this theme is beautiful, but also is equipped with such features as Jet Elements Plugin, Mega Menu, 5 Blog Layouts, WorldPress Live Customizer, and Google Fonts. 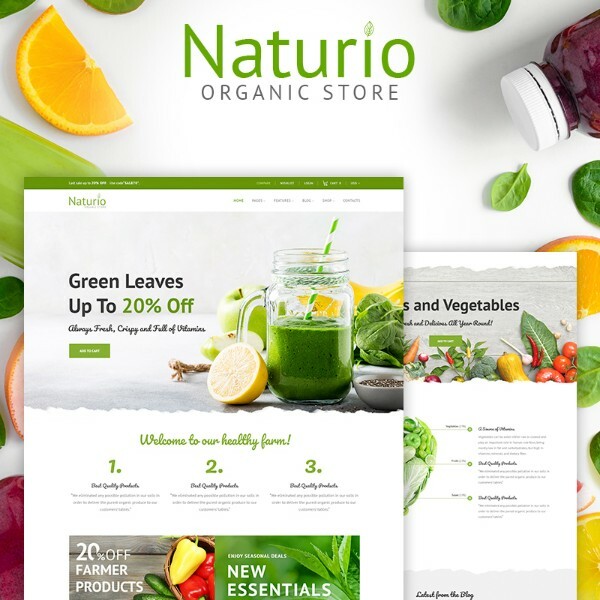 Make your website simply stunning with Naturio Food Store Template. Details | DemoMultifly is a multipurpose Shopify theme that will definitely lead your online store to success. This theme is fully responsive, multilingual, and has a marvelous set of features that includes Social Options, Contact Form, Search Form, Blog, Brands, Google Fonts, Google Map, Slider, Mega Menu, Collections Catalog, and sorting Options. 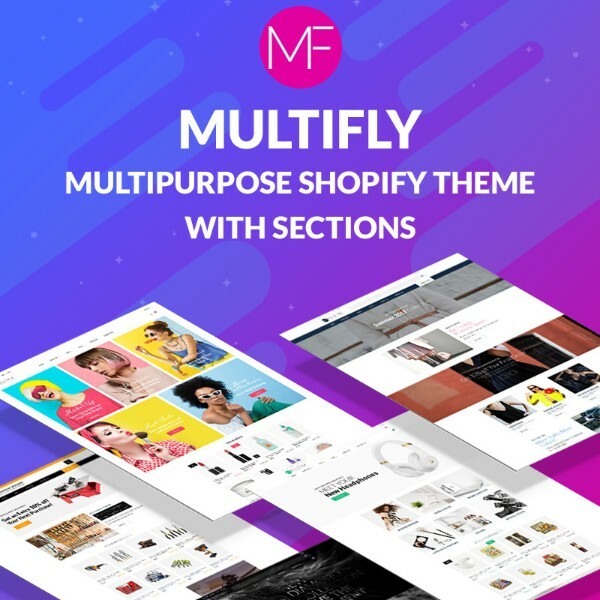 Multifly has literally everything for launching a great online store. So do not hesitate and get this outstanding theme. Details | DemoShopy Fashion Shopify Theme is perhaps the best choice for an online clothes and accessorizes store. The theme has an outstanding design that will for sure attract thousands of customers as well as many practical features. For instance, the theme comes with more than 13 Pre-made Layouts, 4 Gallery Pages, 9 listing pages, and Mega Menu. If that wasn’t enough, Shopy also has Ajax Filter, Revolution Slider, various Blog Pages, Instagram Shop, and Google Rich Snippets. In other words, this theme has everything you need. 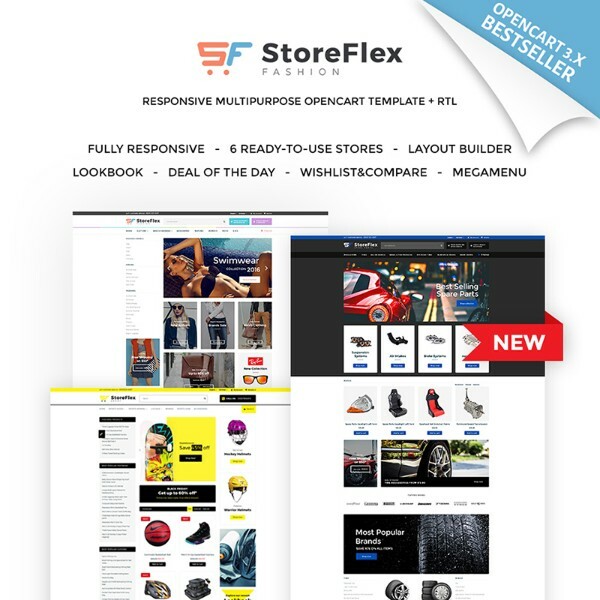 Details | DemoStoreFlex is a multipurpose template that comes with 6 different skins – Household Goods, Fashion, Beauty, Sports & hobbies supplies, Food, and Spare Parts. The template is equipped with Mega Menu, multilanguage & multicurrency, clients categories, product catalog, gift certificates, Ajax search, smart product filtering, product badges, wishlist, add to compare, and various color schemes. To put it briefly, this template has everything to make your website great. So don’t miss your chance to get it. Details | DemoElegant and modern MegaStore Template is equipped with various stunning features which make it the best option for an online store with many various products. 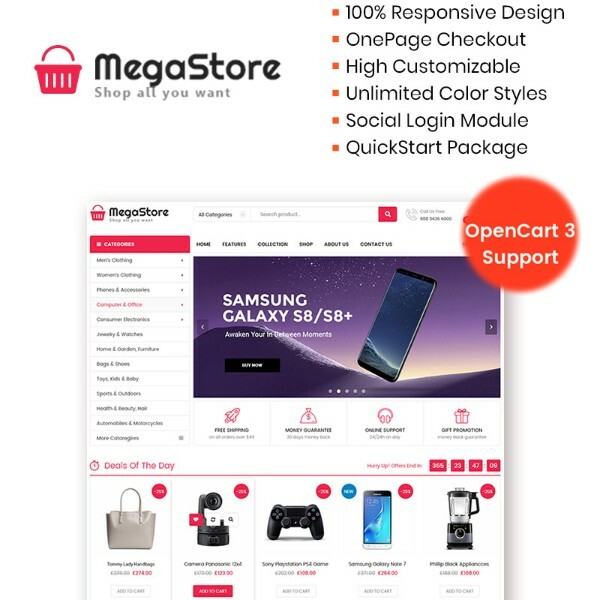 MegaStore is fully responsive, has 3 mobile layouts, visual page builder, Drag & Drop features, email Newsletter, and many other useful features. Moreover, this template is super easy to set up and customize according to your taste and needs. It seems like it has everything you need, isn’t it? Details | DemoGravitas is a perfect option for almost any kind of a business website. Just check out its key features in order to see why this template is perfect for you. 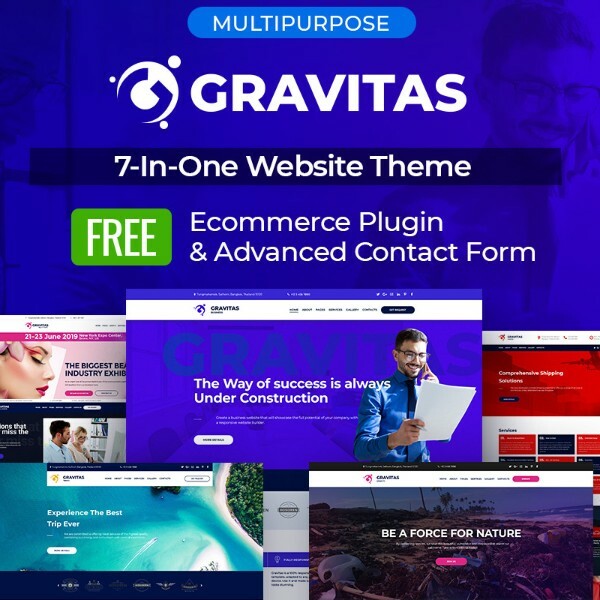 Gravitas comes with 30 ready-made pages, 6 homepage designs (for finances, consulting, shipping, charity, interior design, and travel), 4 pages with elements, SEO tools, blog functionality, and many others. Gravitas is perhaps everything a developer can dream of. Details | DemoArctic Template is a user-friendly and easy-to-install template which has both outstanding design and stunning set of features. It’s 100% responsive on all the devices and works smoothly in all the major browsers. Arctic comes with Galleries, Audio and Video widgets, Social Integration, Blog functionality, Email subscription as well as many other useful features. 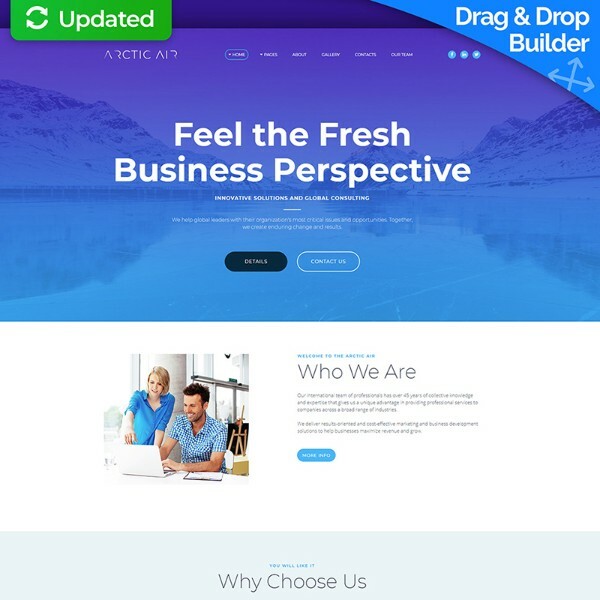 Arctic Template will definitely bring your business to the next level. Details | DemoJedi is a stylish and fully functional template that will make your website just outstanding. Jedi comes with such great features as Team Page, Blog Page, Forum Page, Gallery, Social Login, Contact Form, Advanced Search, and many other cool and useful features. Moreover, you don’t need any programming skills while working with Jedi. 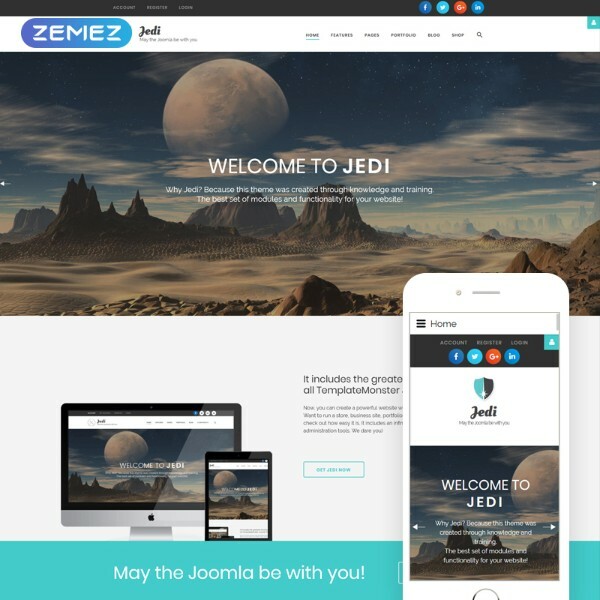 Make your business prosper with Jedi Template. Details | DemoConstruction Company Premium Drupal Template is a perfect choice for a building company. It has an excellent modern design and a set of useful features such as Powerful Plugins, Gallery, and Blog Page. It is needless to say that Construction works flawlessly on all the devices, supports all browsers, and comes with detailed documentation. 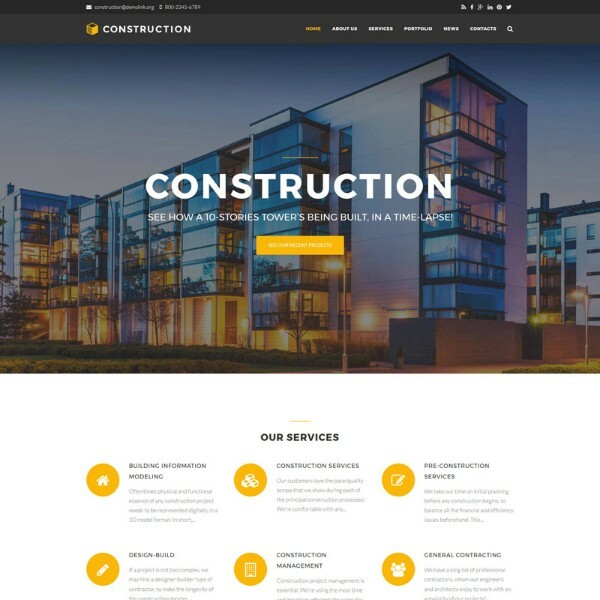 Make your website unique with the Construction Company Premium Drupal Template. 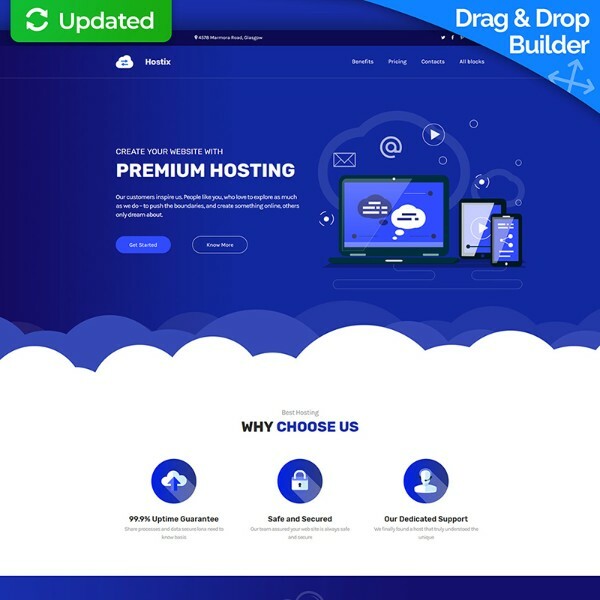 Details | DemoWeb Hosting MotoCMS 3 Landing Page Template is a perfect solution for startups, promotions, events, and personal profiles. The template comes with such useful features as Social Integration, Parallax effect, Contact form, Video widget, and many others. 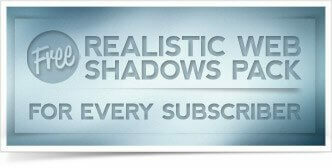 Besides, our 24/7 support team will always help you if you have any difficulties installing the template. So make your dreams come true with the Web Hosting MotoCMS 3 Landing Page Template. Details | Demo2018 Pitch Deck PowerPoint Template is a stylish PowerPoint Presentation Template that will be great for the presentations for your business partners or corporate clients. Among its useful features are over 230 slides, PPTX files, 12 Color Theme Options, and many others. This template is super easy to use, so you don’t need any coding skills to work with it. 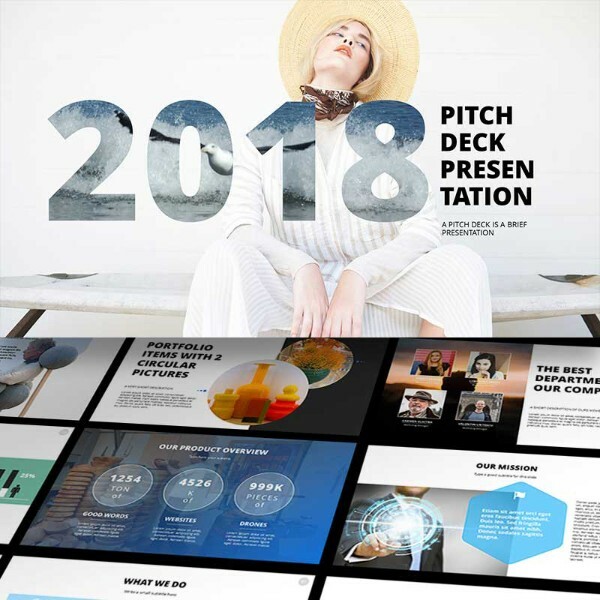 Make your business presentations outstanding with the 2018 Pitch Deck PowerPoint Template. So after checking all these templates and themes you can see that launching your website is really easy and quick. All you need for a good website is a decent professionally-designed theme or template. Fortunately, nowadays there is a vast variety of templates and themes for every taste. Moreover, you can customize any template or theme according to your needs and desires even if you do not have any coding experience. Can you imagine that? We bet you can’t. So pick a template of theme you like, install it in just one click, and bring your business to the brand-new level.